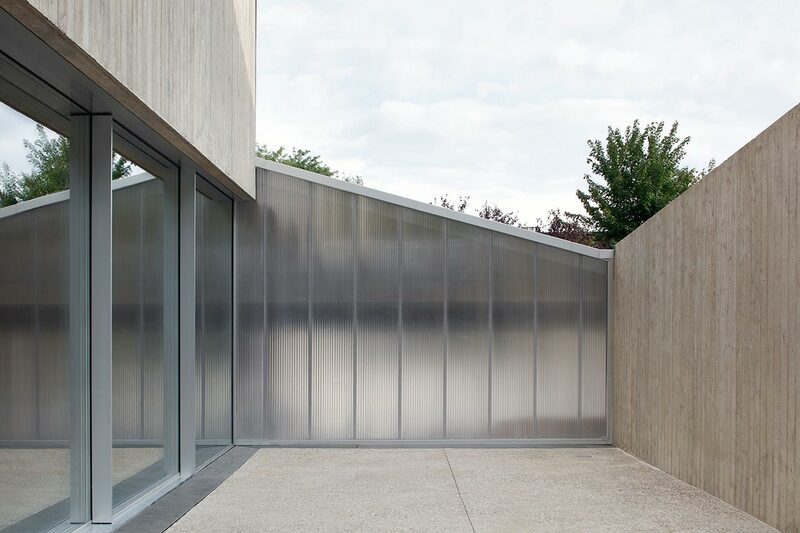 Designed by Luxembourg-based architecture practice 2001, Hercule House in Mondorf-les-Bains, a leafy community in the country’s southeast, does not shy away from the limelight. 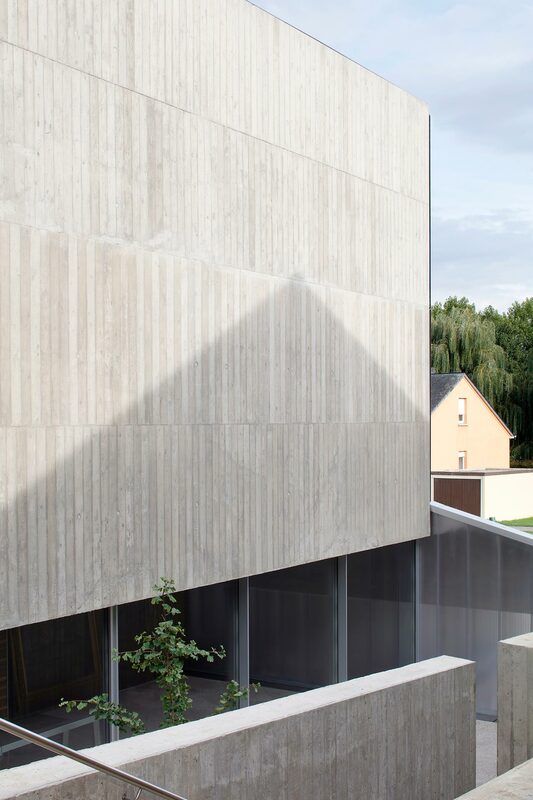 Named after local hero John ‘Hercule’ Gruen, the concrete and glass volume stands out against the neighbouring farm houses and suburban villas in its monolithic monumentality. 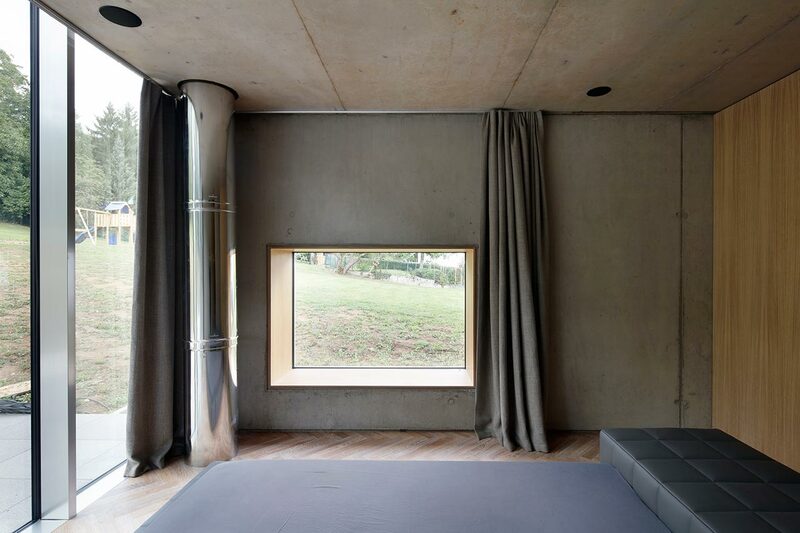 It is a bold sculptural statement that takes advantage of the sloped terrain to hide all the communal areas of the house below ground, on top of which, the box-shaped volume containing the private quarters “emerges fiercely from the ground like the tip of an iceberg”, as the architects explain. 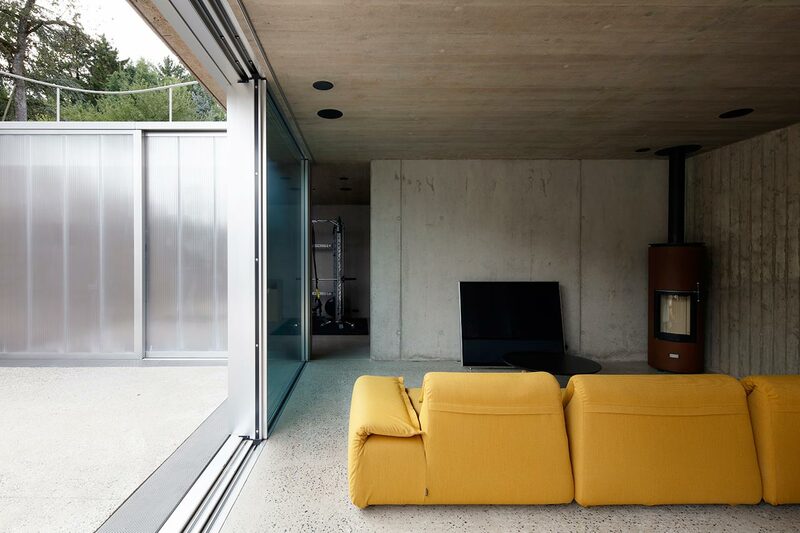 From the street, a gentle slope leads down to the house’s basement level where most of the its functions are accommodated, including a fitness & spa area, laundry room, wine-cellar and the garage, in the middle of which are the living quarters. 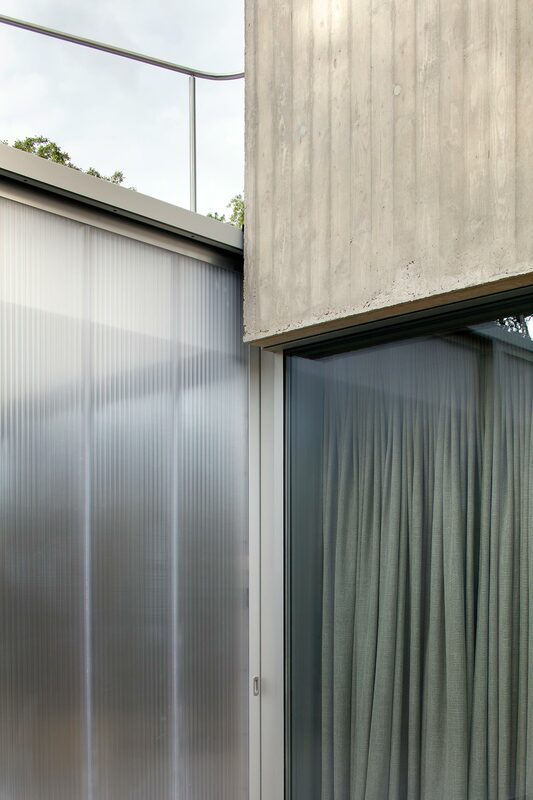 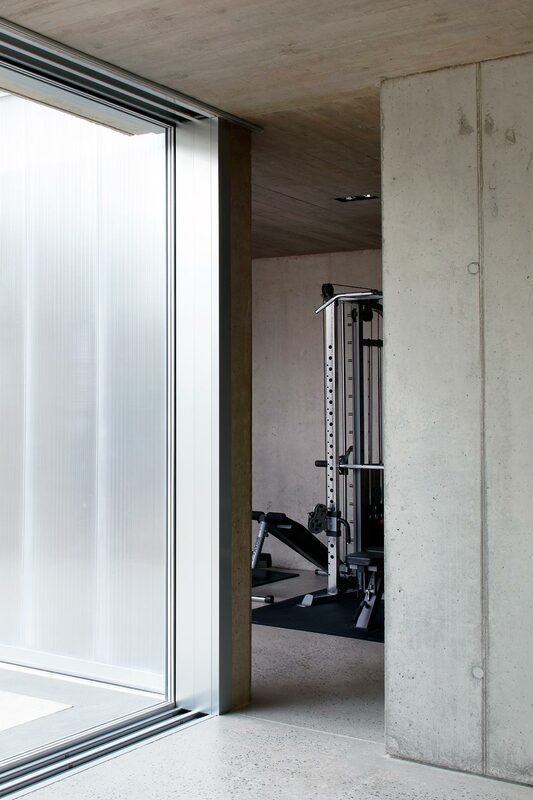 Conceived as a large open-plan living room that also encompasses the kitchen and dining area, the space opens up to a sunken courtyard which allows plenty of natural light to illuminate the interiors, courtesy of the floor-to-ceiling glazing across the room’s 14-metres length, as well as the adjacent garage and fitness room, concealed as they are behind translucent panels. 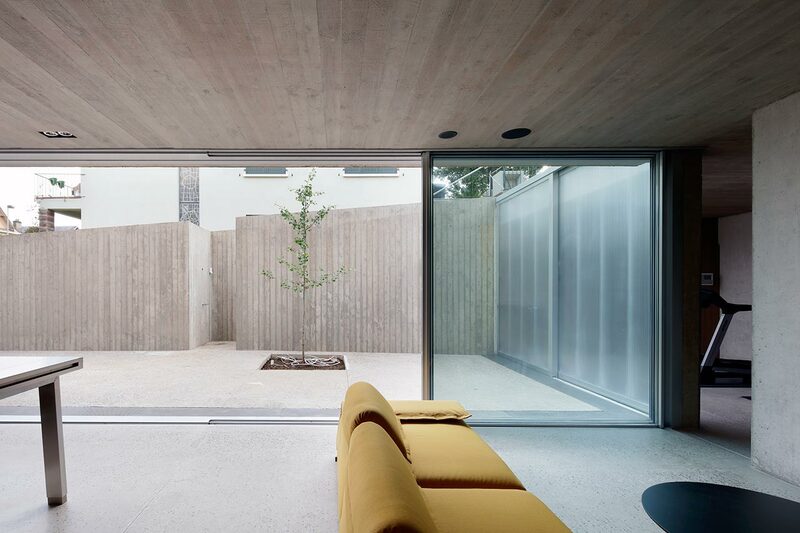 Above ground, the cubic volume houses three bedrooms on two floors, whose floorplans reflect the dimensions of the living room underneath. 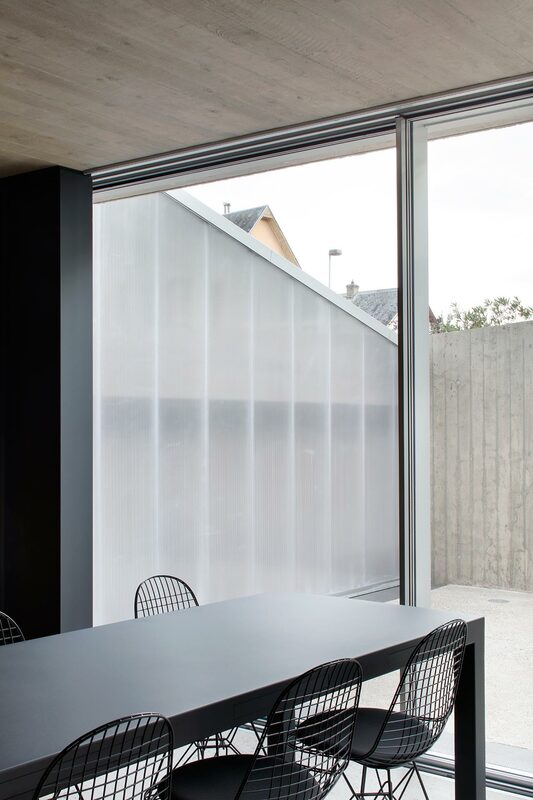 On the shorter street and garden sides, the facades are designed as curtain walls lined in reflective glass that provides both solar protection and privacy, not to mention expansive views of the verdant surroundings. 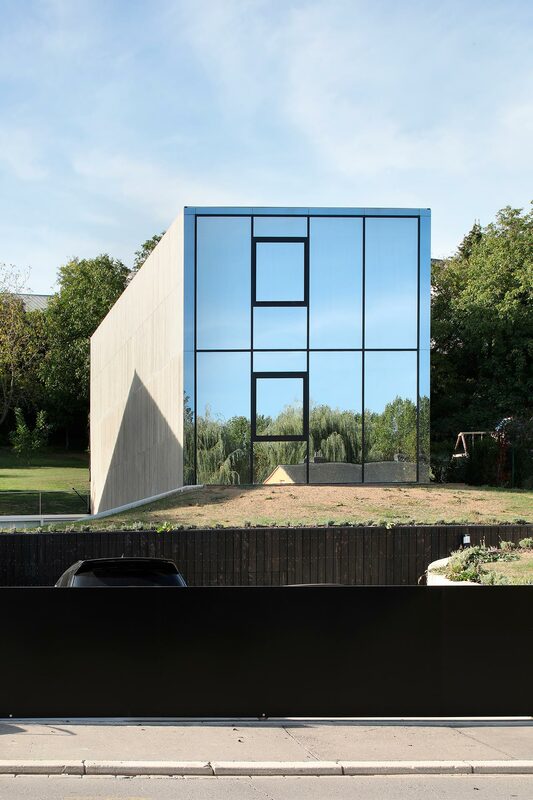 It's also a clever way to integrate the monolithic volume into the leafy neighbourhood by reflecting the landscape around it. 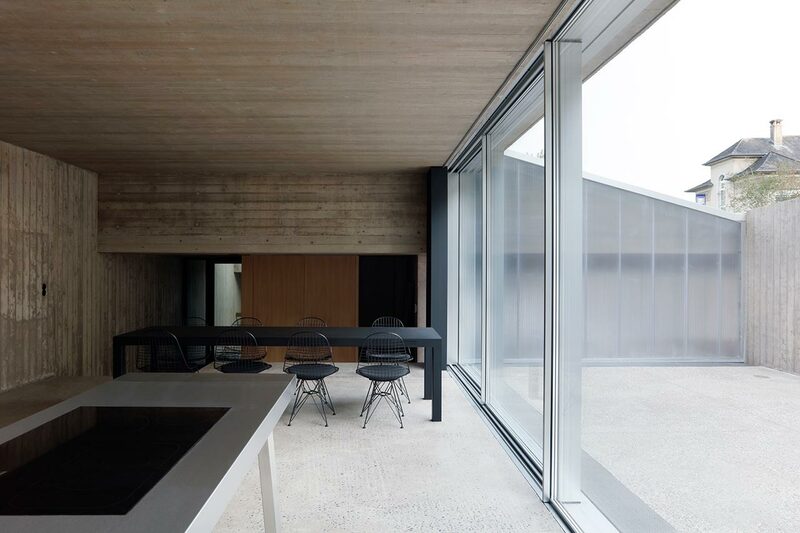 On the contrary, the north façade is completely blind, its concrete mass providing structural support to the two floors, thereby eschewing the use of pillars in the middle of the living room. 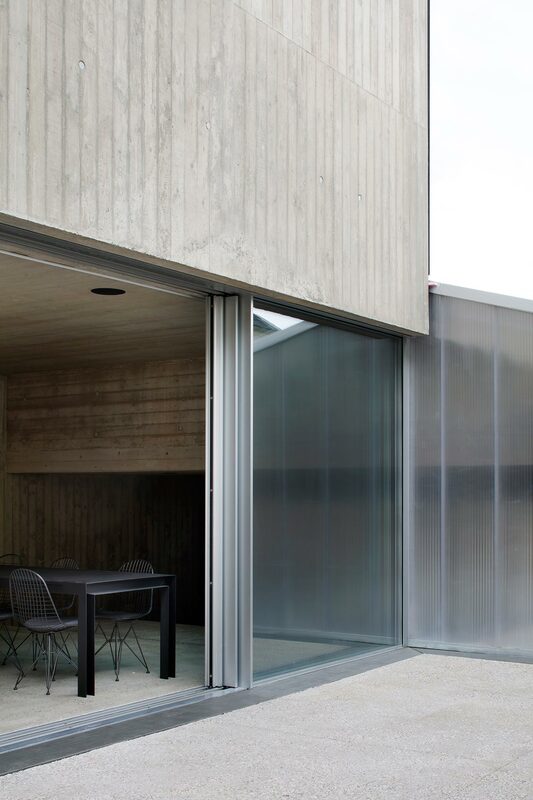 The south façade is also made of concrete but is punctured by a series of strategically placed deep-set windows. 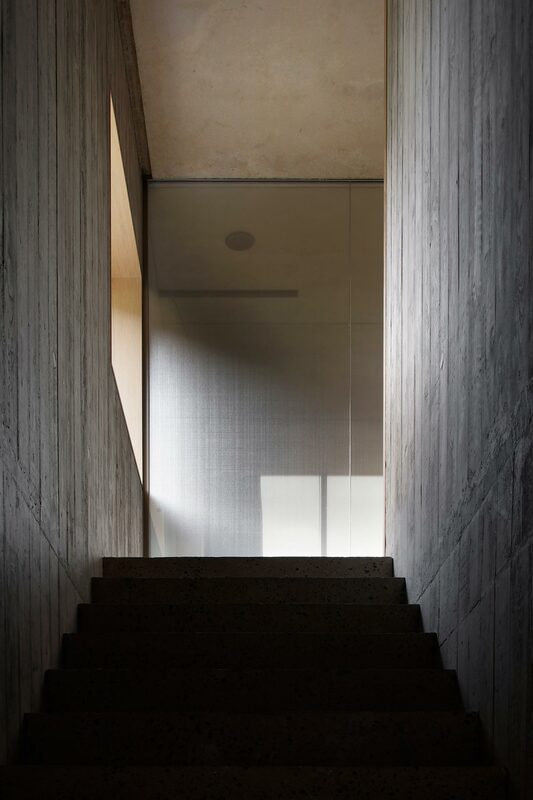 The interior design shares the same austere, brutalist sensibility that characterizes the building exterior. 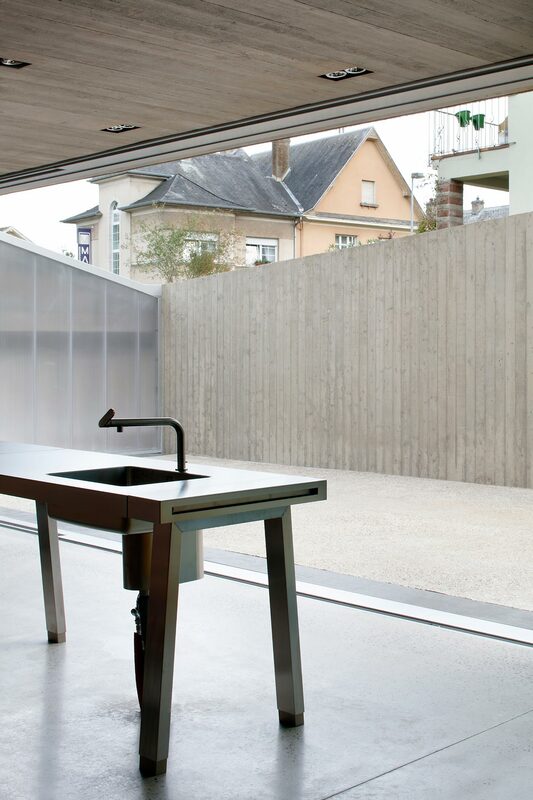 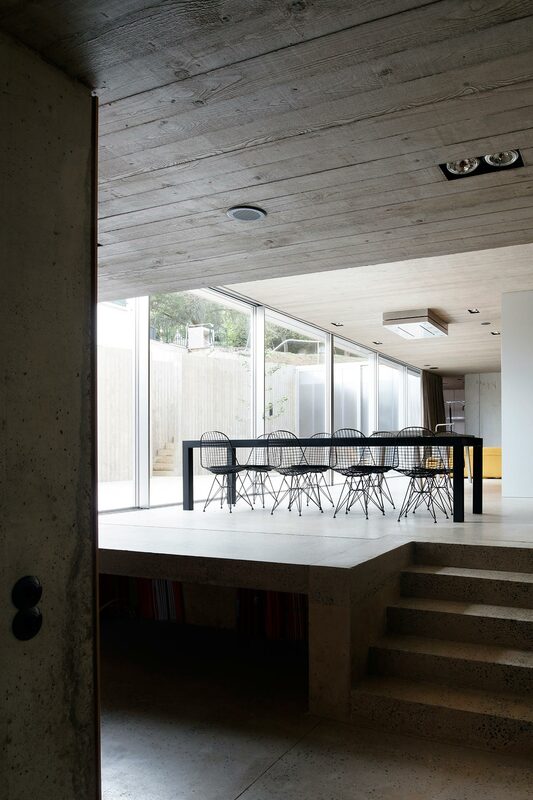 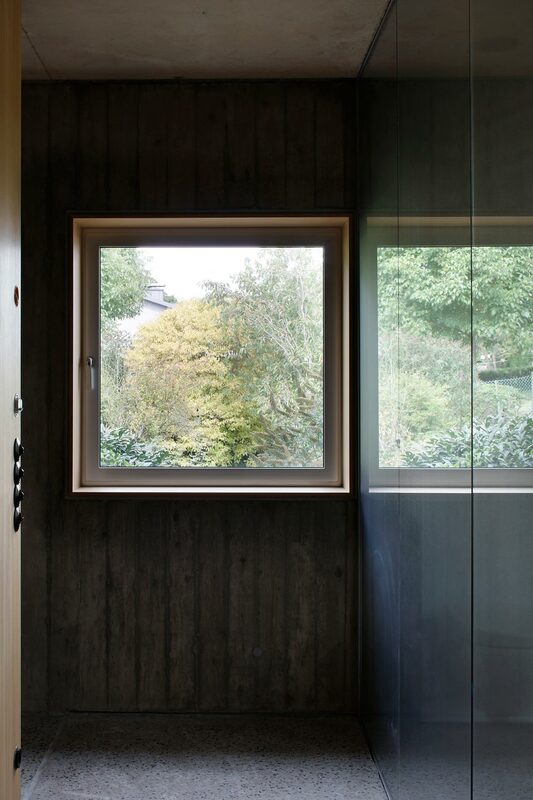 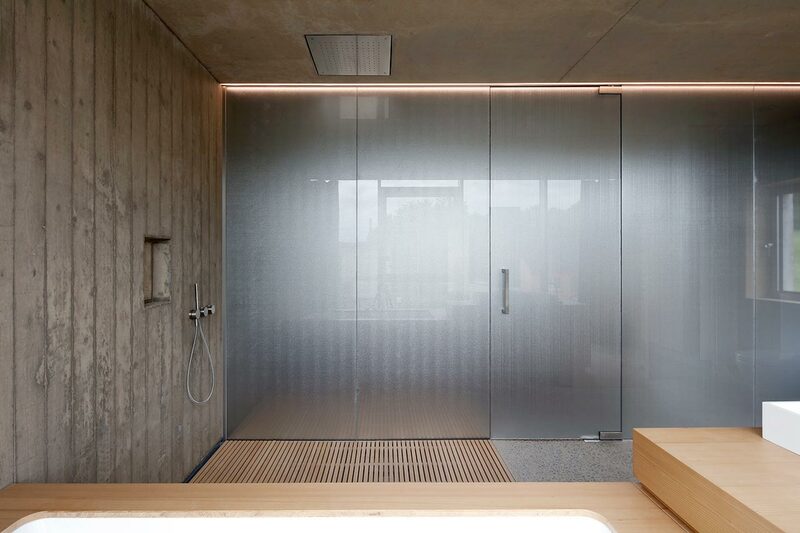 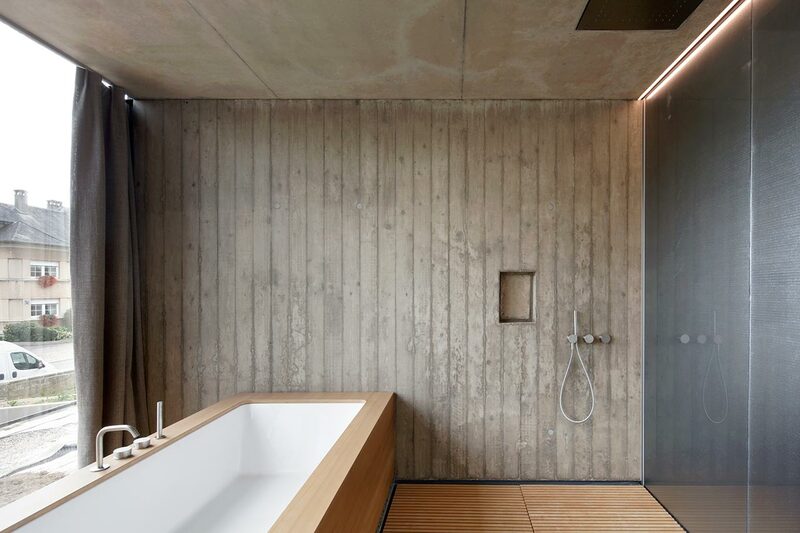 Throughout the house, exposed concrete walls and ceilings bring the building’s structure to the fore, constituting a stripped down aesthetic, which is enhanced by trim-less, built-in furnishings such as light fittings, cupboards and wardrobes, a subdued colour palette of neutral tones, and a total lack of decorative elements. 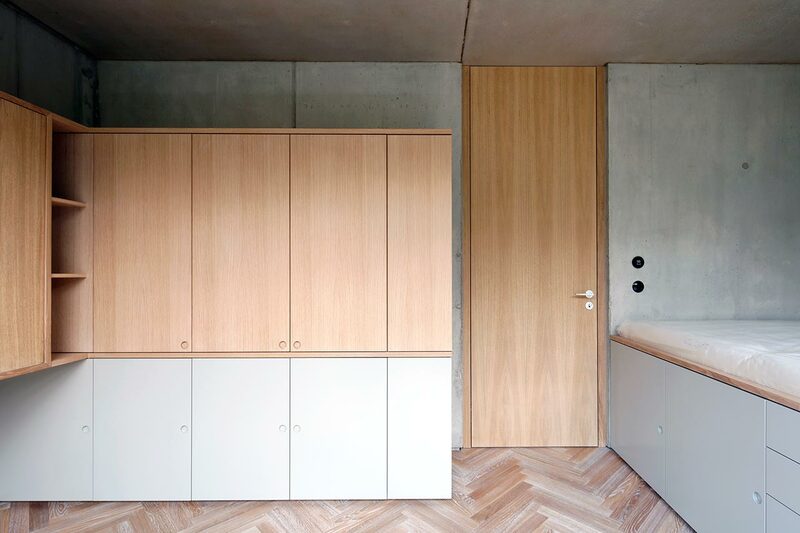 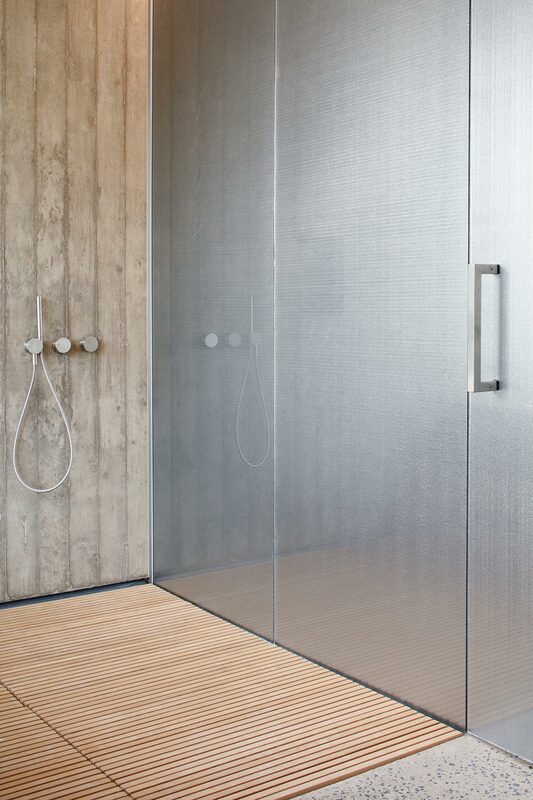 Terrazzo flooring in the communal spaces perfectly complements the roughness of the board-form concrete, while natural wood in the form of wall pannelling and floor parquet, in conjunction with sanded concrete surfaces, imbue the private quarters with a softer texture. 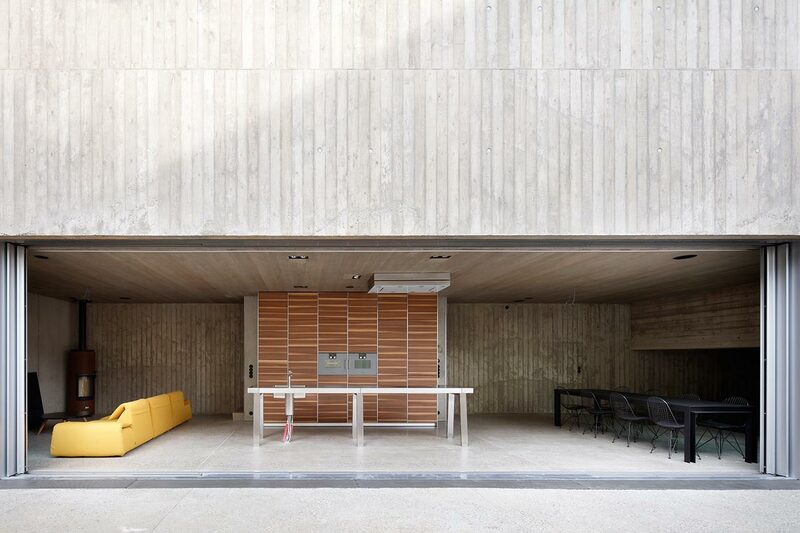 “The resulting austerity”, as the architects say, “underlines the essence of the project: the minimal quality of the interiors fosters a relationship with the context”.